Did everyone see this morning that according to Rep. Issa (chairman of the IP subcommitte on the House judiciary committee) Michelle Lee is still in charge of the PTO. That is not as good as official word from the Commerce Dept, but it is better than nothing. Still and all, why all the mystery? What does “official word” mean when we have a completely l00ney tunes preznit? How’s that “protest vote” working for you, “anon”? Because “PC is the w0rst thing ever”. What does your attempt to drive the discussion into the weeds and away from the topic directly related to patent law “mean”…? Hint: the answer as to do with the repeated “?’s” I note to Prof. Crouch about the by-line of this blog, and how your 11 year run of blight simply does not care about that by-line. She was – and in most all probability, would have been worse. Donkey CRP is every bit as CRP as Elephant CRP. Meaningless Malcolm, if you cannot break from your own script and understand what it is IN those archives. Nice strawman. Not once ever have I ever said such. I HAVE pointed out the problems of PC (and to which YOU gladly stick your head into your nether regions and pretend that such problems do not exist). So this is yet another typical Malcolm rant – full of obfuscations, strawmen and the like, while not actually adding ANYTHING of merit to the discussion, nor even bothering to address the substance of the post to which he is commenting upon. And no doubt, if a “reply” is forthcoming, it will merely be more of the same CRP. On this limited record and in light of the arguments raised, the district court judgment is affirmed. And it will also lead to a decrease in the number of innovative intelligent people who come to the US from other countries for education and end up staying here. But a bunch of patent maximalist types chose this guy because … he’d nominate a “better” PTO Director? LOL It’d be funny if it weren’t true and real people weren’t being affected. Dennis and Jason: if/when you start to see the impact on your incoming student population, please let us know. Um yeah, those 6-17% were the ones planning on overstaying their visa. A duhr. They decided to stay home. Thx guys. Thank goodness for silver linings. Maybe a few Mericans won’t have to compete with quite so many brainiacs from the entire world to get in a US school. And then they’ll get out and find a job. I love how in love you are with brain draining the whole world “for us” MM. Is it any wonder why the 3rd world stays the third world? Somewhat smart 3rd worlder is born and educated>promptly poached by the US. Is it any wonder why the 3rd world stays the third world? Somewhat smart 3rd worlder is born and educated>promptly poached by the US. The Breitbart comments section, folks. Deep, deep stuff. Third worlders to lefties: Please stop “helping” us. Maybe partner with us occasionally. MM> MUST HELP THIRD WORLDERS! Must give free stuff! Instill handout culture, destroy local 3rd world businesses with handouts! Take their smartest ones and educate them in the US, then keep them in the US! It’s for the good of the third world you guys! MM> How come the third world is only marginally better of than when I started you guys? OMG you guys, whitey (but not whitey MM) must be oppressin’ on them! MM> Only people in the Breitbart comments section can’t comprehend the magnitude of muh virtue! Look you guys! Look how virtuous I am! LOL – even 6 is noticing the number one meme of Malcolm’s Accuse Others Of That Which Malcolm Does. Granted, 6 is ahead of the game in his changed outlook on several patent law issues (even if he still cannot bring himself to thank me for educating him on these patent law issues). It looks like the worm has turned in that the PTAB is not going to get away with injustice on a continuous basis. In this case, the PTAB held the patent invalid even though it did not cite support for all the (disputed) limitations in the claim, nor did it explain why one of ordinary skill in the art would combine the two references in the way provided by the invention. Of course, a closer look at the specific facts and issues reveals the farcical nature of what is being requested. What an unbelievable waste of time and money. MM, so? Do only the truly innocent get due process? I think there is a clear bias in the PTAB in favor of big companies against small fry. This travesty of a decision by the PTAB is simply one example. There are hundreds of others. If Dennis would conduct a poll of patent owners who have suffered at the hands of the PTAB, many patent owners would vote that they got shafted — their patents were invalidated without actual proof or by clever use of BRI. Not that the courts do not do the same thing from time to time – hand small fry rough justice. Particularly, the Federal Circuit has a poor reputation. But, we all should demand justice for all people regardless of status. What, exactly, would this poll prove? I dare say that if you polled the patentee’s whose patents have been invalidated by the Supreme Court, the consensus would be that they had been treated unjustly. If we polled the federal prisons, we would find that most felons feel that the justice system does not work. These polls would all suffer from the obvious flaw of a biased sample. The justice of a system is not established by polling only the losers. One must ascertain the opinion of all involved parties. Actually, that would also prove nothing. Well Greg, prior to the French Revolution the aristocracy was all in favor of the mock trial and the guillotine. The question is not whether there are winners and losers but whether there was a fair trial and was the remedy appropriate. Of course the losers at trial always her little bit bitter because they thought they should have won. But if they are unhappy because they were railroaded, that is a horse of a different color. There was no legitimate “process” in place for granting this absurd “patent right” in the first place so the emphasis on “due process” now is woefully misplaced. Is that comment in relation to examination in gen eral, or is it specific to a subset based on your feelings? Wasn’t there some random examiner here posting that such an explanation wasn’t required? And here I thought KSR eliminated a mandatory TSM determination. That patent is broad trash that teaches nothing, and even taken at face value, looking at the two references, anyone who could even comprehend what the references are doing would easily arrive at the putative “invention” the PTAB (rightly) invalidated. If every variation of every technique is a patent, the world will grind to a halt. I do agree that every time I read one of these Fed. Cir. decisions that uses the work “motivation” I cringe. Just substitute “reason” for “motivation” and any charge that the court is bringing back TSM. There doesn’t have to be a “motivation” for one of ordinary skill to modify a reference, or to combine references. But there does have to be a “reason” one of ordinary skill would. Maybe I should propose that any judge who uses “motivation” when discussing obviousness should be impeached. Just read Manny’s piece over Quinn’s site: it is clear that he does not understand the law regarding the so-called exceptions and why they are there. He seemed to think that anything nominally within the four categories must pass 101. He does not understand that the essence of why products of nature and laws of nature are not patentable subject matter is that they are not new. Invention requires the creation of something new; and the finding of something in nature, or the discovery of a relationship that has always existed, is not the creation of something new. Thus in order to be patentable subject matter, the use of the product of nature or the application of the law of nature must be what is covered by the patent. His main beef, though is with “abstract.” That problem was created by Bilski, not by Alice. I do not understand why Manny is focusing on Alice and not on Bilski. That alone is a problem – calling Justice Thomas names even though he wrote for a unanimous court. The guy who wrote Bilski, Justice Kennedy, is the real problem. But focusing on Thomas the way the proponents of the IPO do is clearly intended to diminish Alice, the assumption being that Thomas is incompetent. This is a vicious slur on Thomas, to be sure. The problem of the Bilski case is that the claims in that case were not clearly abstract under the controlling Supreme Court case law, and the Supreme Court did not explain why they believed the claims in that case were abstract under that controlling authority. It was a simple announcement that the claims are abstract without much more. If anybody doubts but I say here, simply read Stevens dissent in Bilski. You glom onto the “but what is “abstract” as if that was the main thrust. Anon, assume that the claims in Bilski are not eligible and also that they are not abstract. Why are they not eligible? Why did Stevens lose his position of writing the majority in the Bilski case? Aah. Answer a question with a question? Anon, do you agree or disagree that the claims in Bilski were ineligible? Ned, the writings by the Court signify a broken scoreboard. Ned – It is you that does not understand that DISCOVERIES are eligible and there is nothing to discover but laws and products of nature. Such discoveries might not be new, but they are NEWLY KNOWN and uncovering them is just the sort of thing we want to PROMOTE. Furthermore, if new, doesn’t mean newly known by “man”, we could not dare to make anything patent eligible as everything exists or has existed somewhere in the multi-verse. So, Les, a professor discovers the second law of thermodynamics. Can he or she patent that discovery and then claim as infringements all processes whether heretofore known and in use or later invented? If there are prior art man made uses of the Law, then he didn’t discover it, did he? I mean it seriously. Do you even understand the law of nature is? Maybe we shouldn’t discuss this in the abstract. Why don’t you present a claim to the newly discovered second law for discussion purposes. I claim the discovery that every process occurring in nature proceeds in the sense in which the sum of the entropies of all bodies taking part in the process is increased. In the limit, i.e. for reversible processes, the sum of the entropies remains unchanged. You have to claim a process, machine, manufacture or composition of matter. I don’t think that claim qualifies. Standing by for your redraft. Anon, I you suggesting that one cannot claim facts? Assuming you are talking to me, I am suggesting that you can only claim a process, machine, manufacture or composition of matter. Once again, the patent doctrine of inherency renders your trap rather ineffective. Ned, way back then I was very unhappy with the Bilski decision in that it provided no guidance as to what is an “abstract idea.” I disagreed with Stevens’ “concurrence” (technically it wasn’t a dissent) and was glad he didn’t get the majority. In retrospect, I think it would have been better (for some of us who prefer patents on software) if Stevens’ concurrence was the majority. Then things would have taken a different track: business methods would be out (but they are out anyway under Bilski/Alice) but perhaps other things would not have been swept under the rug with business method patents. Your reasoning smacks of fallacy and unsubstantiated wishful thinking of the type: get rid of the wolf at the backdoor by throwing him a steak. anon, not sure exactly what you mean. But if you favor patenting software, if Stevens’ “concurrence” got the majority then could things possibly be any worse than they are now? You do not understand the phrase “you do not get rid of a wolf at the back door by throwing it a steak”…? Further, there is no legitimate reason to outlaw business method patents on a per se basis. That would be akin to outlawing all medical method patents because of Mayo. Anon, I never said that it was OK to judicially outlaw business method patents. Just that Stevens’ concurrence might have actually turned out to be the lesser of two evils. chill out, we’re on the same side. You are not on my side if you are advocating for Stevens’ concurrence to have been a “better” avenue to take. Sorry, but I take MY State attorney oath more seriously than some others here, and refuse to allow the Court to trample the separation of powers in some form of appeasement of a “lesser of two evils” scenario. A USA TODAY review of presidential documents found at least five cases where the version posted on the White House website doesn’t match the official version sent to the Federal Register. The differences include minor grammatical changes, missing words and paragraph renumbering — but also two cases where the original text referred to inaccurate or non-existent provisions of law. Nobody could have predicted that the Prezidenting by the Breitbart Comment Section would be an epic fail. Oh well. At least they don’t have the nuclear codes …. oh wait. And this has what, exactly, to do with patents…? Prof, that byline / any respect for “truth in advertising” as we embark on Malcolm’s 11 year Tour of Blight? Seems a bit odd to go forward with the Supreme Court nomination made by a President who is surely going to be impeached and, if there is such a thing as justice, may also be the first President executed for treason. But, hey, Gorsuch only l i e d about this pro b0no work at Harvard and spent his whole life dreaming of legal schemes to make life for minorities and w0men as difficult as possible. And then there was that kinda s ad j0key name for the F@ scist Club he started. But a totally cool guy otherwise! Just the kind of guy you’d want to hang with if you’re a rich white entitled silver sp0 on-fed d u d e who needs legal cover for his c0 rp0ration’s slick money gru bb ing scheme. MM >>may also be the first President executed for treason. So, DC, after 12 years of reading this blog it is hard to believe that you handed over the keys to the blog to this nxtbag. Was there some earlier President executed for treason that I forgot about? Never mind. Please return to your deep discussion of Obama’s conspiracy with Google to “burn the patent system down.” Very serious stuff there! Maybe Jason Chaffetz should be investigating that. After all, there’s nothing else going on. It is kind of amusing when a mild paranoid steps to a raving paranoid. We are not going to execute a President anytime soon, nor is Trump going to be impeached anytime soon. Ole’ Manny appears not to be aware that IBM was granted more patents than ever in the past few years, or at least an astounding number. Alice seems to have slowed them not at all. Around the political Internet, the preferred formulation is “ But her email! nor is Trump going to be impeached anytime soon. I’d say the process is already begun, even if it’s not official. Right, but that’s only because it would hurt some people’s fee-fees. I’m opposed to capital punishment, by the way. But the law is the law … or so we were once told before this m@niac incompetent took the reins. Adding: I’ll also accept Trump’s resignation “for health reasons” at any time. Either or, as long as the investigations of his (and his family’s) conflicts of interest and self-dealing continue. I’m still waiting for the media to wake up and call this disgrace what it is. Had President Obama heeded Niccolo Machiavelli’s timeless advice in the least, he would have put Cheney in the dock and the GOP opposition would never have gotten its feet under it. If you are waiting for the Democratic Party to show the least backbone, forget it; not in the liberal DNA to begin with, and the Democratic Party is now the conservative party anyway. Also, and this is not a small point, the President is somewhat popular out in the country, and the majority of people who vote prefer the Republican program right now. I do think the man has some form of progressive dementia and he had no clue as to the weight of the office. The worst part of all? Pence would be a lot worse. Trump has some facets of human decency, although that’s hard for many people to accept. I see nothing redeeming in Pence since he is a cunning, but not bright True Believer in movement conservatism which would be weaponized by a GOP Congress. I know right? If MM prefers Pence, I mean, ok. But I predict an uptick in his whining with Pence. Ned: so long as the left continues to think as you do, the nation will continue to vote Republican. Say what? “The nation” as a whole is center left and Republican policies are deeply unpopular. The Dem candidate in this last election got 3 million more votes. That’s after voter suppression, a massive failure by the media to educate the public about the candidates, and after a Republican in the FBI engaged in a flat-out smear campaign against the Dem candidate rather than disclose information that would have tanked the Rep campaign. Good grief, did you think people had forgotten about this? This is exactly why the Administration is crumbling now. If MM prefers Pence, I mean, ok. But I predict an uptick in his whining with Pence. I disagree with pretty much all of Pence’s positions on important policy issues. He’s also a hypocrite and a l i a r and he’s not very intelligent. And really all he wants to do is give tax cuts to his rich buddies and destroy the lives of people who happen to get sick at the wrong time. But he’s not a lu n@ tic narcissist s 0 ci0 path who’s manifestly incapable of managing a bureaucracy. He’s just another soulless Republican who’ll sell the country in a second but I don’t see him launching missiles because someone mocked his tiny hands or whatever. Pence’s major problem, of course, is that he was surely “in” on all of the election shenanigans and he’s lied about that. And all that’s going to come out. MM, we shall see. The fact that the majority of state legislatures, governors, both houses of Congress and the presidency are all held by Republicans kind of suggests that your assumption that the Republican Party and its policies are deeply unpopular cannot be true. But I agree, since the nation has given Republican Party power, they have to deliver. Also, might I add, outside a few enclaves where Republicans do not campaign because they have no chance, e.g. California, the Republicans are the majority at present. So while Democrats may run up huge majorities in California, the rest of the nation is conservative. Might I suggest you that the reason California produces large Democratic majorities in presidential races Democratic is that Republicans see no need to go to the polls at all because their votes simply do not count. I found it ludicrous that we had to choose between two Democrats running for United States Senator. The Republican Party simply is noncompetitive in California. One party rule for very long time has its problems. Check out Chicago. Check out the old South that was solid Democrat. With such one-sided power, the Democratic Party in the South could do things like suppress the vote of Republicans through intimidation, and they did. Might I suggest… that the reason California produces large Democratic majorities in presidential races Democratic is that Republicans see no need to go to the polls at all because their votes simply do not count. True, but this point cuts both ways. Presumably there would be more GOP voters in CA if the elections there were genuinely competitive. Presumably there would also be more Democratic voters in TX if the elections there were genuinely competitive. One party rule for very long time has its problems. Definitely. I live in a city with one party rule, and I can certainly agree that it is not healthy. Competition begets vigor, and lack of competition begets stupor. Check out the old South that… could do things like suppress the vote of Republicans through intimidation, and they did. Or the modern South, that suppresses the votes of Democrats. As noted above, one party rule is discernibly unhealthy. Rhetoric like that makes you sound like a ta rd bro. If you said “he wants to allow people who happen to get sick at the wrong time to have their lives destroyed seeking likely overpriced medical care” that would be closer to the truth at least. True, but Mike “shock the gay away” Pence he might try to shock the gay away. All the election shinanigans? Come on, don’t hold back, tell us your most recent conspiracy theory that you heard from your totally legit media. Nah, more likely he will just throw some meaningless snide comment somewhere else that indicates that Donkey CRP just tastes so much better than Elephant CRP…. [T]he President is somewhat popular out in the country, and the majority of people who vote prefer the Republican program right now. How do you figure that? Mr. Trump’s net approval is deeply negative. The majority of voters voted against him. He draws protests everywhere he goes. In other words, by every objective indication by which we assess a politician’s popularity, the data reflect profound unpopularity. Pence would be a lot worse. I strongly disagree. Whether Pres. Trump possesses a decency that VP Pence lacks is a point on which I demure. Pence, however, possesses a competence that is demonstrably and entirely absent in Trump. Incompetence—at least on so gross a scale—vitiates decency. Better Tywin Lannister than Hodor. Brother you and me about to fight today! Even a lowly Stark serving girl is better than the Lannister Swine! And even setting house loyalty aside, you can’t be ableist like that bro. And even setting house loyalty, and your ableism aside, saving an entire civilization from itself ain’t ez. Even a lowly Stark serving girl is better than the Lannister Swine! I have never watched a single episode of the television show, so I have no idea how the characters are presented there. In the books, however, while it is clear to me that George R.R. Martin means for us to see the Lannisters as villains, objectively I just do not see it. Westeros enjoyed decades of some of the most stable peace and enduring prosperity it had ever seen under the Handship of Tywin Lannister. This is not true only for the lords and knights, but also for the small folk, as is evidenced by the glowing reverence that Arya hears them to express for the late reign of Aerys when she is taken captive by Ser Gregor. Tyrion Lannister was a very able and effective administrator during his time as acting Hand, and when Tywin replaced him, he was equally able and effective. Neither Tywin nor Tyrion are exactly good people (although Tyrion is obviously not so bad), but this is simply an irrelevant consideration when evaluating a chief executive. What matters in a chief executive qua chief executive is competence—not affect, and certainly not personal virtue. To be sure, personal virtue is a fine thing, but the realm suffered under Baelor, his virtue notwithstanding. Baelor was a fine saint, but a terrible chief executive. One really cannot afford to confuse the personal and the political when choosing an executive. The results of that sort of category error are palpably disastrous. Mmmmm, that was when the King was bankrupting the realm many times over thanks to Little Finger. Remind you of any recent prezzy? While he was letting his daughter commit quite literal Treason in the highest degree of the very literally worst kind right behind his back with her bro’s private parts. 20 years of peace and prosperity pales in comparison to the whole thing crumbling. If you think Tywin was some sort of godsend to the Kingdoms you’re crazy. It was literally his letting two kids he knew to be incestuous near each other that ripped the kingdoms apart. And leaving Joff alone for 2 seconds on the throne. 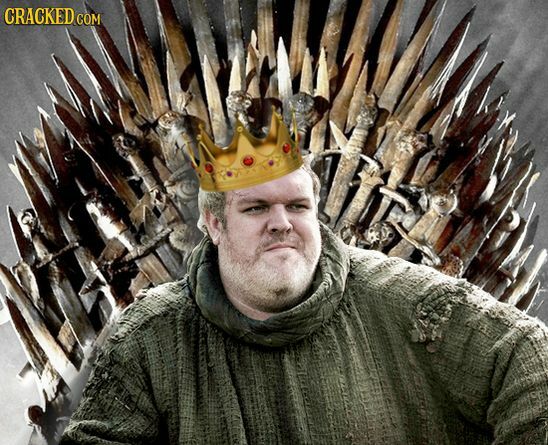 Even Hodor would know better. I like Tywin, a good man, did ok at governance, but there is literally no bigger fck up in the whole patriarchy of Westeros than that man. Right now what is most important, by far, is whether he has the will to defend the very society that exists from the numerous internal factions vying to literally destroy it in the next 20-50 years. And that is fact, supportable by mountains of evidence. Which, ahem, trumps your opinion in this case. But yes, on occasion competence is a large concern. I wonder though if you even remember what Tywin himself thought was the most important thing for a ruler to possess? Just as it is going to be under the remnants of Obama’s virtue. Mmmmm, that was when the King was bankrupting the realm many times over thanks to Little Finger. Huh? Tywin was hand under Aerys, not Robert. I do not know who was master of coin under Tywin’s Handship, but it was not Little Finger. Remind you of any recent prezzy? Not really. Bush broke the budget, but Obama brought it back in line, so all’s well that ends well. Tyrion is Cersei’s brother. Tyrion has no daughter. Greg, so long as the left continues to think as you do, the nation will continue to vote Republican. The people who live in the isolation of California, New York and Massachusetts simply do not get it. Also, do not you think some of the protests are related to the fact that the media reports that the immigration ban was a Muslim ban? I have seen reporters in places like Egypt and other Muslim countries ask locals how they feel about Trump’s Muslim ban? What you think they are going to say? Here in Santa Cruz the homeland security rounded up 10 or more MS 13 gang members. The media reaction? Hostility toward Trump. No thank you’s at all. I like Tywin, a good man, did ok at governance, but there is literally no bigger **** up in the whole patriarchy of Westeros than that man. I guess I am not sure on what grounds this assertion is supposed to stand. The proof of the pudding, as they say, is in the eating. A ruler who delivers peace and prosperity is, by definition, a successful ruler. Tywin delivered peace and prosperity during the decades that he ruled as Aerys’ hand. What more could one want? As for the assertion that he turned a blind eye to Jamie’s and Cersei’s crimes, I guess I have to ask on what evidence this assertion is advanced? I see no evidence that Tywin knew of their crime until after he had already resigned his Handship. I gather that he learned of it later, but by that point Jaime was in the King’s guard and Cersei was queen, so I am not sure what power he had to stop them. Once he regained the Handship, he started to move to break them up. Once again, what more do you want of him? True. Nothing I said about the virtues of executives can be established as fact. I consider it well supported opinion (one need only read about the Year of Four Emperors, or the Year of Five Emperors, or the Year of Six Emperors, to see that stability is more valuable than personal virtue in a chief executive), but I freely concede that it is only opinion. I wonder though if you even remember what Tywin himself thought was the most important thing for a ruler to possess? That was an entertaining skit, but as I said, I have never watched the television show. That exchange did not happen in the books, so I had never seen it before. I can definitely remember that Tywin remarks in the books on his ideas about traits that rulers must possess, but I cannot remember if he singles one trait out as more important than others. With all due respect, your view of “A ruler who delivers peace and prosperity is, by definition, a successful ruler.” is a seriously flawed piece of “Ends justify the Means” thinking. Ned, the nation has not voted republican for over a decade now. We have contrived a system where how the nation votes is only tangentially connected to who gets into office, so one can be forgiven for missing that fact, but it is still a fact that the nation did not want either a republican president or a republican congress. Mercifully for the republicans and regrettably for everyone else, the nation’s preferences do not matter. Meanwhile, CA, NY, & MA account for >20% of the country. Throw in the other blue states and it comes to ~40% of the total U.S. population. In what possible sense are these areas “isolated”? And yes my bad when Peter was under Jon Arryn, and Tywin had some unknown Master of Coin. Let’s be honest, stability trumps nearly all, and I’m pretty sure we can agree on that. That is why the ta rds, and self interested parties attempting to destroy the country in the next 20-50 years by destabilizing it from within by stoking identity conflict etc. must be put in check. Hopefully we get a new office o unmerican activities to stamp out the current virtue based destablization efforts. ForTywin to not let his daughter boink her bro and make little kids that aren’t the King’s (her husband) and thus commit literal Treason? A duh? Let me guess Ned, they were probably all “DREAMERS” amirite? The nation, itself, votes every year for republicans. Or did you not notice how many statehouses are under complete republican control? Even libtards trying to disprove that Trump won nearly all counties of the country are hard pressed. The fact is, “liberals” are all concentrated geographically. The rest of the nation doesn’t like their nonsense. “Meanwhile, CA, NY, & MA account for >20% of the country. Yes, in terms of population they do. The “other blue states” are usually narrowly blue. All this comes together such that “liberals” are geographically isolated. I addressed this point in the paragraph after the one that you quoted. To repeat, at the time Tywin was hand, Cersei was not yet married to Robert. Indeed, Aerys was still king. It seems clear that Cersei and Jaime were already lovers by that point, but it is not at all clear that Tywin yet knew of this fact. By the time that Tywin did know of this fact, he was no longer in any position of power. He was merely Lord of Casterly Rock, while his daughter was queen. How was he supposed to stop Jaime and Cersei from carrying on by that point? Once Tywin resumed office as Hand, he sent Jaime off to war and began negotiating a marriage for Cersei, in order to split them apart again. In other words, there are times when he was unaware of their crimes and did nothing to stop them, and times when was aware but unable to stop them. This is regrettable, but not blameworthy. As soon as he was both aware of their crime and able to do something, he acts. What more can you ask? I am not clear on what this observation is supposed to prove. State legislatures can be and are gerrymandered just like the national legislature. The fact that a legislature is populated by one party or the other does not ipso facto establish that more people voted for that party. If you mean to prove that a majority actually voted for those republican legislators, you need to cough up actual vote totals. Do you have such vote totals to cite? I am always glad to be corrected when I am wrong, but I am unaware of any actual data in evidence to establish that I am wrong. They got caught when they were little. The point is, even if his wifey poo never told him, or he somehow never found out, that’s something you kind of need to be on top of as patriarch. Everyone in the books has a flaw. This was Tywins. His blindness to his fam trouble. The point is, even if… he somehow never found out, that’s something you kind of need to be on top of as patriarch. Everyone in the books has a flaw. This was Tywin[‘]s.
That is a fair point. I agree. Wifey never got around to telling hubby, who wasn’t attentive enough to notice that his daughter just got separated from her bro and had a literal guard outside her door. Oh wait, Tywin never went to see daughter, so that situation never happened. The good ol democratic gerrymandering fall back excuse. They had a bunch of experts on NPR the other day to discuss the matter, and it’s hugely complicated in today’s terms, beyond just drawing a salamander like back in the day was accused of being a simple rigging. People constantly moving etc. Fact is, even with the gerrymandering excuse (wherein repubs are just plain better at gerrymandering in recent years), the liberal expert guy on the panel admitted dems would still be down quite a bit in modern times. Liberals simply don’t come out/care for local/state gov as much because of a whole host of reasons. Tywin was the second most, if not the most, powerful man during the whole series even though he lacked formal title at some periods, because of his $$$. Besides that, he could have simply told Robert, “bro, I have concerns, keep those two separated”. I am always glad to be corrected when I am wrong, but I am unaware of any actual data in evidence to establish that I am wrong. I must, in candor, concede that I was wrong. It turns out that a majority of U.S. voters voted for a democratic president, and a majority of U.S. voters voted for a democratic senate candidate, but a majority of U.S. voters voted for a republican house candidate. Therefore, my assertion that “the nation has not voted republican for over a decade now.” In at least one electoral contest in the last decade, the nation has voted republican. My broader point, however, still stands. Democrats are more popular than Republicans. The rules, however, do not reward a party for popularity, so this observation is irrelevant to governance. You’re fundamentally misunderstanding how “the nation” votes for dems or republicans. Your “muh popularity contest amongst the populace” is not how “the nation” votes for dems/republicans but is merely one small aspect. Geography factors in, differing political setups, and a thousand other things factor in. Further, you’re ignoring all gubmit other than federal elections. Spoiler alert, those are just a small spattering of the overall elections going on in the country. And republicans are Ddddddddominating the elections as a whole. You’re fundamentally misunderstanding how “the nation” votes for dems or republicans. Your “muh popularity contest amongst the populace” is not how “the nation” votes for dems/republicans but is merely one small aspect. I am not misunderstanding anything of the sort. The national government is constituted by “we the people.” Not “we the states,” or “we the counties.” When I talk about “the nation” and you respond by referring to state governments or county election results, you are just changing the subject. The nation‘s preference is ascertained by looking at the nation‘s votes cast. I agree that this has little or nothing to do with how we choose our government. I already said that up-thread. We have contrived a system of governance in which individual state’s preferences count for something and arbitrary electoral districts count for something, but the national preference counts for nothing at all. Fine. But that is also as much as to say that the fact that party X won control of this or that branch of the national government does not entitle one to say much of anything about what the nation prefers. The national preference is not expressed in our U.S. electoral system, for better or worse. But you ignore the fact that the founders also divided power among three coequal branches, provided for a federal government and state governments, not for one national government with provinces, accorded state governments two senators irrespective of population, provided for an electoral college that included not only electors proportional to the population, but two extra votes for the Senators, and the beat goes on. We are a Republican government not a democracy. Further we have checks and balances so that large states cannot dominate. This is intentional. If you want to see the disasters democracies can get into, just check out the Peloponnesian war. Brosef you’re just using words wrong. And inserting fairy tales of non-limiting preambles. I’d written a longer post but there’s no real reason to carry on. You’re still living in a political fairy tale land you were told about in 3rd grade. You don’t yet have a very fully fleshed out picture of what specifically our gubmit is (hint: cis white hetero patriarchy is involved, as is a lot of oppression), how and by whom it was formed and what our nation is and how it is kept a nation. In that regard, I suppose a bit of “gender studies” and “african history” classes could actually be of use to you. Although you might turn into a radical if you knew. We are a Republican government not a democracy. Right. If you read my posts, you will see that I have acknowledged as much. That observation, however accurate it might be, does not in the least diminish the force of my point. My only point is that you said that “the nation will continue to vote Republican,” and I noted that the nation cannot continue to do something that it is not doing yet. The nation is “we the people.” The nation is not the states. The nation is not congressional districts. The nation is not counties. It is, no doubt, true, that the majority of state houses, and the majority of counties, and the majority of congressional districts vote Republican. None of these things, however, are the nation. The nation voted for the Democratic candidate to win the White House and for the Democrats to control the Senate. That is really my only point. It is perfectly true, but also perfectly irrelevant, to counter that the Democrats did not win the White House or the Senate. That is merely as much as to observe, for better or worse, that the nation‘s vote does not determine control of the White House or the Senate. You can tell him that all the live long day and he won’t understand it. You can further explain to him that the US gubmit is a cis white hetero christian patriarchy that politically oppresses (to a lesser extent now than before) other groups and he won’t understand that either. You’re wrong, and allow me to explain to you lefty doctrine as to why. The “we the people” that signed and ratified the declaration of independence is the cis white hetero patriarchy of anglo/european history/culture of english speakers “nation”. That was a long time ago. The literal group of people that inhabit Merica today do not all voluntarily ID with, or in the alternative are not accepted into that group of people (but they sure love their citizenship in the country!). The group of people merely inhabiting the US borders today would never ratify the constitution, and includes people from other nations that are not Merican by any stretch of imagination, and often don’t even ID as Merican, and/or have no citizenship etc., (see for extreme examples nation of islam, sioux nation etc.) which are small nations within the borders of the country. All those small nations are what props up the democratic party (because they get to vote) and gets them huge popular votes. “The nation”, aka what I said above and all those accepted into it that ID as being that even if they aren’t by birth, and which have as many common characteristics with that as they can, votes overwhelmingly republican as sure as you’re born. You’ll learn about this in Gender Studies, African History, Native Merican History classes. Actually it very much diminishes the force of your point, Greg. As a neutral observer to the interchange you are having here, I can tell you that your “force” has been negated. You may have some other point in mind, but the point that you presented here – has been reduced to being negligible. I can and I will. I cheerfully confess to being snobbishly insistent on ability when it comes to the chief executive. Trump is going to file the EOE complaint to end all EOE complaints if something like what you want to happen actually happens. He’s perfectly aware of that. It’s just not part of the script. MM is unhinged here, but if Democrats manage to take the House, it’s clear they intend to impeach Trump. Partisanship has gotten really out of hand and the pullback after the 1998 impeachment is now long forgotten. The Democrats will take the house if and only if Trump does not execute on his campaign promises. He is trying – but who is trying to block him? My second favorite (at present). Scott Lemieux is on fire about the FBI and the media, and here we have Trump up to his eyeballs in Russians. Fox News (especially sans Ailes) is utterly disoriented. I love Trump. He is doing more damage to the GOP project than Hillary could have dreamed about, plus her judgement was objectively awful too. I like when this blog gets political- and truly, what ails the patent system are mostly political problems. … plus her judgement was objectively awful too. Here I will have to part ways with you. I agree that he is building our majority for us, but at what cost? One needs a majority (or in the case of our constitutional system, the democrats need a super majority, while the republicans need only a respectable minority) so that one can enact policies that are objectively healthy for the realm. If the realm is reduced to a smouldering crater, there is no longer any good to be done with the majority. Besides, the majority built in this manner is breathtakingly short lived. I had thought that 8 years of W would be enough for any sane person to learn better than to pull the lever for team red. It turns out that I was wrong. If you give the American electorate eight years of competent government, a respectable minority of them forget what incompetence is like and run right back into it, dragging the rest of us along with. Greg the history of the world shows that people won’t let go of their dearest political delusions until Götterdämmerung, and sometimes not even then. This truth is writ small in our patent debates too. We went down this road in the 1850’s and we may have to go down it again. I hope not, but I fear so. We are in an urban v. rural brawl and there is no telling whose values may prevail, but reality has a liberal bias, and in the long, long term, reality cannot be denied. You must be making up new meanings for words again. Whose (or what) “reality” are you referencing? [W]hat ails the patent system are mostly political problems. I mostly agree, at least if this assertion is meant in the sense that the patent system’s present problems are amenable to a solution wrought from the political process. Unfortunately, while patent problems can be solved by political means, they seem vanishingly unlikely actually to be resolved in that way. So few voters vote according to a candidate’s positions on patent law. It is hard to make the political process resolve a problem that does so little to drive the voting decisions of any given politician’s electorate. Definitely. I was not disagreeing with you. Merely lamenting. B-b-but Hillary used a private email server! The good news is that Justice Kennedy and the rest of the DC c0 cktail we enie set can sleep so much better without a Clinton in the White House and all the ensuing “investigations”. What a relief! Yes, folks, we heard it here first. I guess on further reflection maybe dying in some jail cell would be a more appropriate end for the Billionaire Bully. But the curtain is steadily closing. How long is the GOP going to keep propping him up, I wonder? That’s really the only question. Night, the going to have to create a new word to describe the phenomena of group paranoia and derangement exhibited by the left in response to Trump. President Trump just signed H.J. Res. 41 — a bill that kills a Dodd-Frank transparency rule from the SEC. The rule aimed to root out corruption by requiring oil, gas and mining companies that list on U.S. exchanges to disclose payments made to foreign governments in exchange for access to natural resources. So awesome. Can you feel the wealth trickling down, Billy Bob from Tulsa? The oil company loves you. It really does! Your awesome $7/hr job is coming soon. Yeah, MM, those who want peace when others demand war should be tried for treason. I am not sure that I would follow MM completely, but many people in England are dismayed that the party of Abraham Lincoln, Theodore Roosevelt, Dwight Eisenhower and Ronald Regan should be in its present disarrayed state. Paul, given that the Republican Party controls the vast majority of state legislatures, most governorships, both the House and the Senate, and the presidency, I would think that the pity should be directed not to the Republican Party but to the Democrat Party. The Republican Party is at a Zenith power it has not seen since McKinley got elected in ’96. Why is it in power? I wonder if anyone in England really understands?